Specifications WE ARE THE LEADING MANUFACTURER & EXPORTER OF Weighing scale with Oblong. We are the leading service provider of Measuring Scale Calibration in the industry. 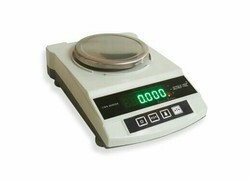 Digital SS Counter Scales with Display are extremely compact and rugged. Since they occupy a very small shelf space they are used almost anywhere where there is a need of precision and accurate weighing.